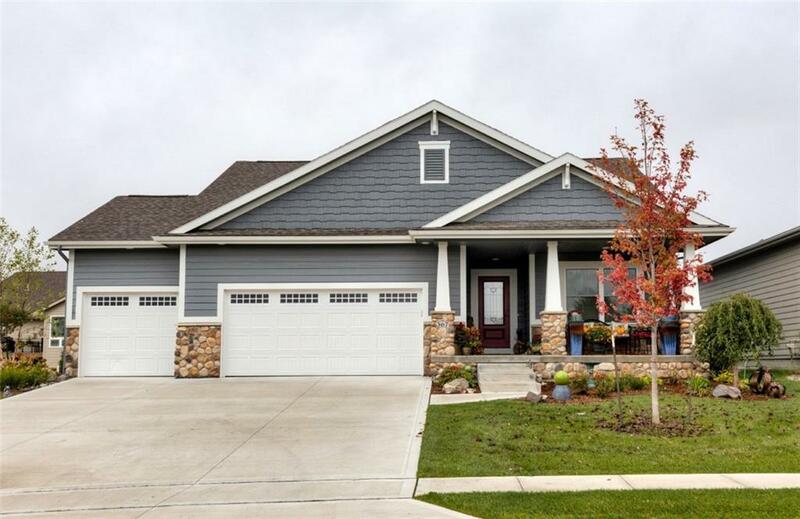 Nearly 3000 sqft finished in this gorgeous upgraded better than new villa in NE Ankeny. Close to everything, convenient location and golf course within walking distance - this is a fabulous place to call home. Front porch and beautiful landscaping put an exclamation point on the curb appeal. Soaring vaulted ceilings, tile floors, hardwood floors and classy backsplash will WOW! Large pantry, kitchen island and staggered cabinets. 4 seasons room off of eat in kitchen with tons of windows create the perfect spot to enjoy your morning coffee. Master suite with tray ceiling, private bath with tile shower and jacuzzi tub, double sink vanity + ample counter space and walk in closet. Lower level is finished with tons of windows, wet bar, 2nd fireplace with stone details, 2 spare bedrooms and large full bath + plenty of storage to keep you organized. Good views, high quality and move in ready!